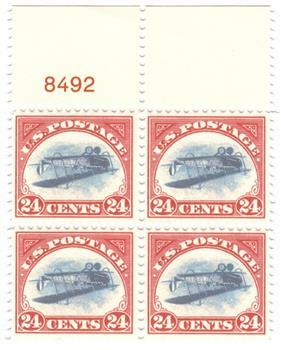 US #4075 was printed using the original dies of the 1923 stamps it pictures. 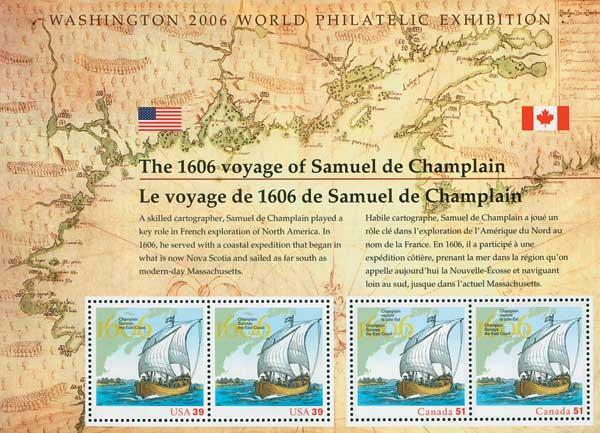 On May 27, 2006, the tenth US International Philatelic Exhibition opened at the Washington Convention Center in Washington, DC. 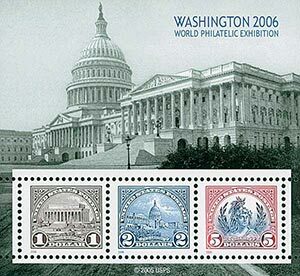 Officially named Washington Philatelic Exhibition Inc., its most often referred to as Washington 2006. The show included 640 exhibits from 60 countries. The “Best in Show” award went to Edward Grabowski for his exhibit on Guadeloupe Postal History. The grand prix award for best in show from the host country (America) went to William H. Gross for his US Classics: 1847 thru 1869 and their classic Re-Issues. US #4075 – Fleetwood First Day Cover. One of the major attractions of Washington 2006 was Gross’ display of the 1868 Z-Grill, one of the rarest and most valuable US stamps. Gross had traded his block of four Inverted Jenny’s to Mystic for the Z-Grill months earlier, in November 2005. (You can read about that historic trade here.) It’s one of just two known Z-Grills, the other being on display at the National Postal Museum. Mystic also had a large booth at Washington 2006, and we had the Jenny block on display for visitors to see for themselves. You can read a lot more about the Jenny Invert here. Washington 2006 was the first time this one-of-a-kind stamp rarity was on public display since Interphil ’76 thirty years earlier! In all, there were 200 dealer firms and 60 postal administrations at Washington 2006. There was even a display of the Postmaster General’s Collection, which was previously rarely ever seen. The show also hosted five auctions that totaled over $10 million in sales. Among the interesting events was the launch of the National Postal Museum’s Arago website, an interactive site that allows people to learn about stamps and, at the time, create digital stamp collections. 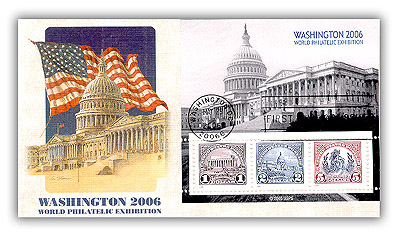 US #4033-72 – The Wonders of America sheet was issued on the opening day of Washington 2006. To help encourage younger collectors, Washington 2006 had a Kids Stamp Zone, sponsored by the USPS, the National Postal Museum, the American Philatelic Society, and Washington 2006. It included interactive displays, films, stories, games, computers, contests and more. The USPS handed out over 22,000 gift packs to excited children. 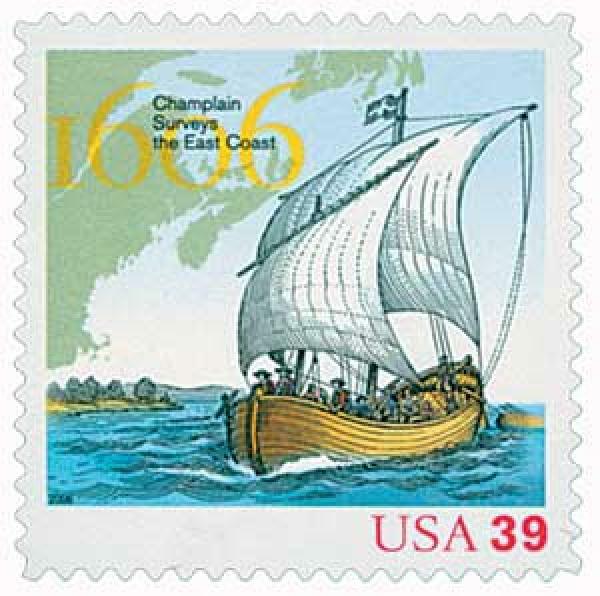 US #4073 honors the 400th anniversary of Samuel de Champlain’s exploration of the Atlantic Coast. Canada #2156a – Canada’s joint-issue with the US. Over the course of the show, the US and several other countries held many First Day of Issue Ceremonies. 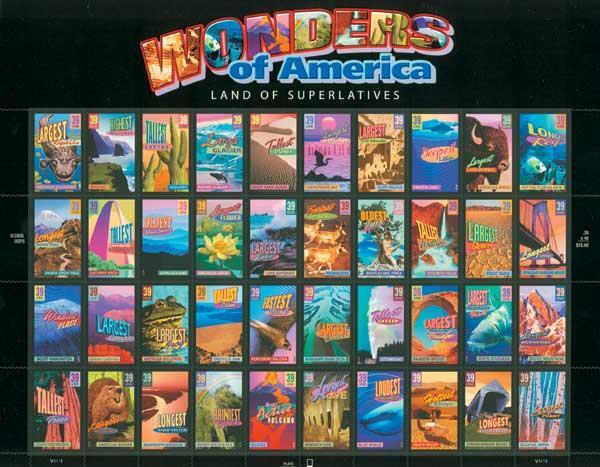 On opening day, the USPS issued the Wonders of America sheet, honoring 40 notable natural and man-made American sites. 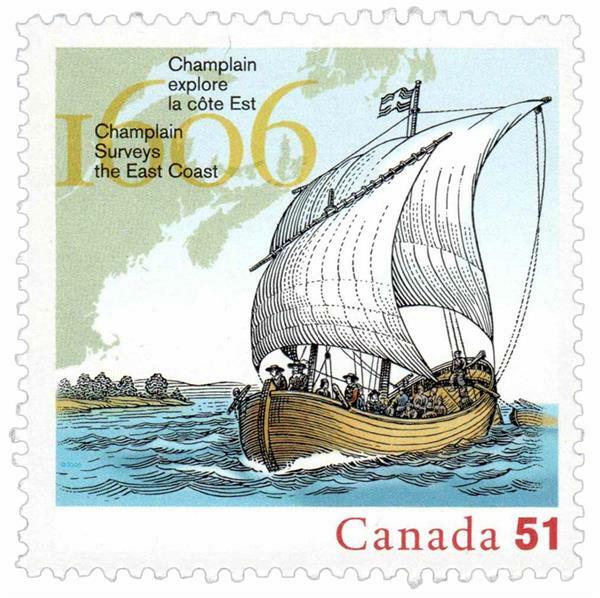 On the second day of the show, the USPS and Canada released a joint-issue commemorating the 400th anniversary of Samuel de Champlain’s 1606 explorations of the Atlantic coast from Nova Scotia to Cape Cod. US #4074 US-Canada joint-issue mint sheet. And on May 29, the USPS issued a souvenir sheet honoring the stamp show. The souvenir sheet featured reprints of the three highest denominations of the Series of 1922-25 flat plate printing. The stamps were printed using the original dies created in 1923 by the engravers at the Bureau of Engraving and Printing. Excited collectors lined up at the USPS’s 12 sales windows, totaling over $1 million in sales by the time the show ended. 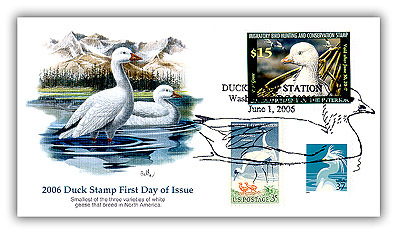 On June 1, 2006, the show was host to the First Day Ceremony for the 2006 Duck Stamp. 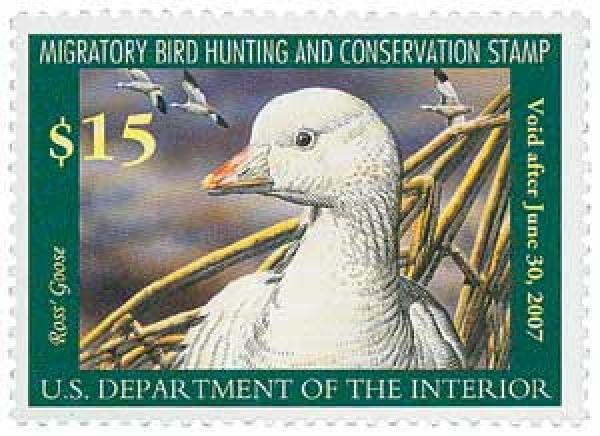 US #RW73 – Duck stamp issued at the show. In all, about 85,000 people attended Washington 2006, and The Washington Post stated it was the largest event ever held at the Washington Convention Center. US #RW73 – Fleetwood First Day Cover. 2 Responses to "This Day in History… May 27, 2006"
I don’t attend many philatelic shows, but I did attend this one and I remember it well. What a glorious time it was in Washington DC that day.